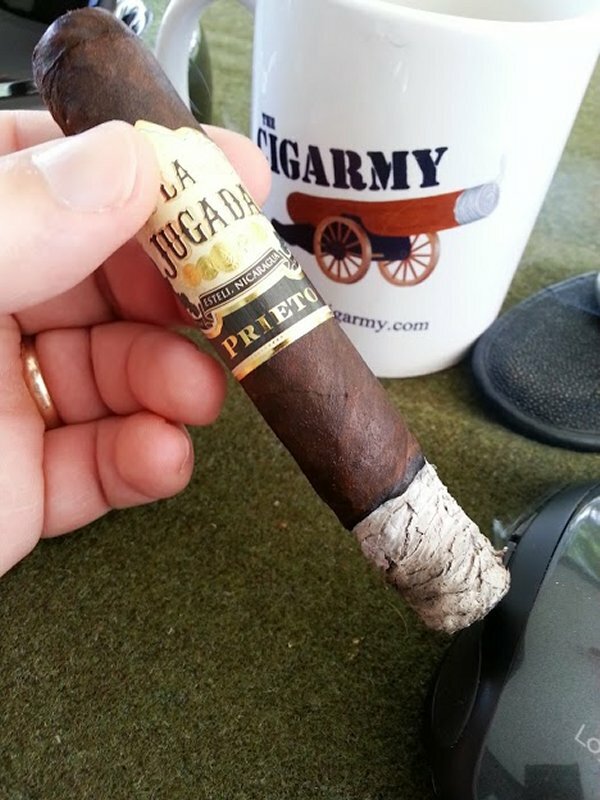 I was contacted quite some time ago by Nelson Ruiz of MoyaRuiz Cigars, asking if I would like to try their new La Jugada Prieto. Of course I said yes, and he subsequently provided a couple of samples. During the intervening days since those were sent, I have been saving them while trying to schedule he and partner Danny Ruiz on an episode of Half Ashed. We haven’t been able to make that happen as of yet, so I wanted to go ahead and publish this review. 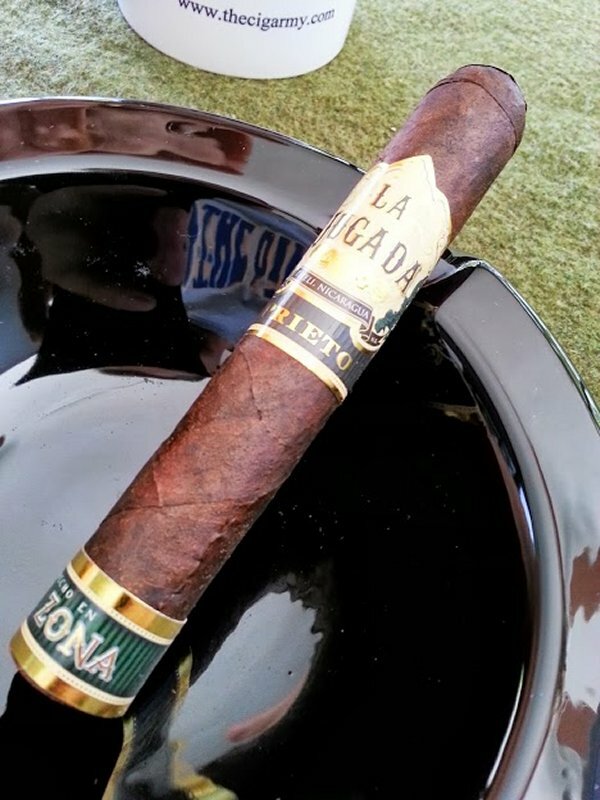 While the pictured cigar is one that Nelson provided, I have to admit I have bought and enjoyed a number of these on recent trips to South Florida from Cuenca and Charmed Leaf – so I am now quite familiar with La Jugada. 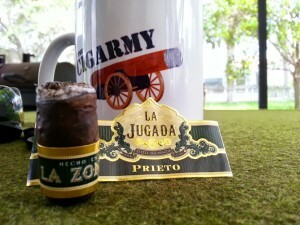 The La Jugada Prieto is manufactured for MoyaRuiz by Erik Espinosa at his La Zona factory in Esteli, Nicaragua. It features a San Andres wrapper, cloaking a Nicaraguan binder and filler blend. Today’s cigar is the robusto (5″X52), but the La Jugada is also available in a Belicoso (6.125″ X52), Toro (6″X52), Double Corona (7.5″ X 49), and “Ancho” (6″X60). The line retails for approximately $6.50-$8.80 in the Florida market. Prelight, both the aroma and draw provide some hints of hay, a distinct bit of earthiness, and a slight cedary finish. Today’s cigar offers some slight resistance to lighting, but lit evenly once it took off. The initial flavors are a good bit more creamy than I would normally expect in a Nicaraguan/San Andres mix, with a clear dark chocolate-reminiscent finish. Some sweet cocoa peaks it head out in these early minutes, but by the 1/2″ mark the dark chocolate has taken the front seat. There is a moderate amount of spice, experienced most on the retrohale. This is an interesting interplay, and reminds me of chilied dark chocolate. Again, this is far more relatable through the retrohale rather than simply on the palate. Going into the second third of the La Jugada, the flavors remain within the same “family,” but take on just a bit of an edge – more akin to a chocolate influenced espresso than the straightforward chocolate earlier noted. The burn has been very good, with only a slight touchup during this second portion of the smoke. This would likely have self-corrected, but I am sometimes overzealous in maintaining the burnline. After having smoked quite a few of these cigars, I find myself feeling a need to keep these in the stable for when the mood hits to have a San Andres-wrapped cigar – which has turned into a significant trend for me. With so many recent releases featuring this leaf, a remarkable percentage of them have found their way into my humidor and my appreciation for it has grown considerably. The La Jugada is no exception. 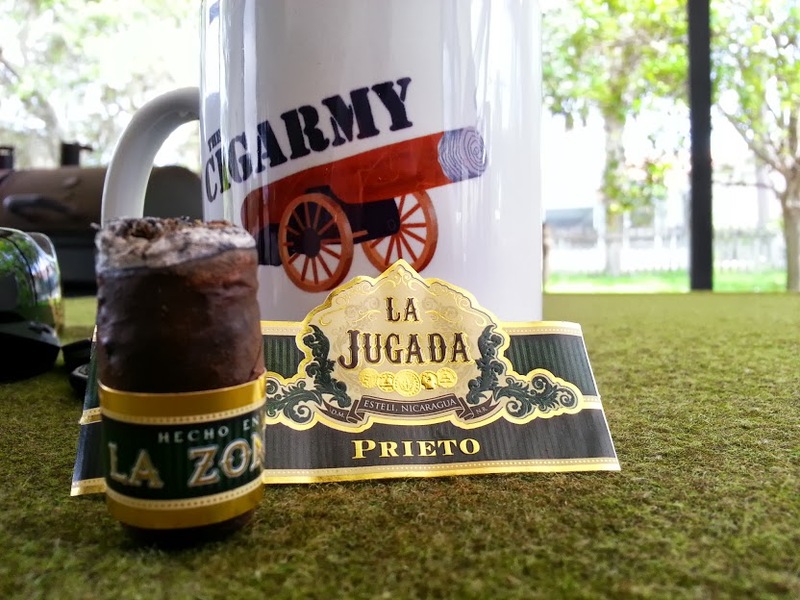 As has been the case with several of La Zona-produced sticks I’ve tried, the construction has been spectacular, flavors enjoyable, and pricing within the “sweet spot.” While I don’t assign numeric scores for cigars I review, the La Jugada would rank highly if I were to do so. I wouldn’t hesitate (and haven’t) to keep some around. They have earned a place in my buying habits whenever I visit South Florida. For fans of the cocoa and dark chocolate sweetness found in quality San Andres wrapper, this is a must-try. Highly recommended. Great write-up on the La Jugada. I too enjoyed the heck out of this stick. The San Andres wrapper delivers tons of flavors. MoyaRuiz did an excellent job on their first release. I can’t wait to check out the La Jugada Habano.